South Africa's Stonecollar has one foot firmly planted in the past, and one in the present on their full-length debut Trial By Fire. This band has a sense of classic hard rock and metal with melodic lines. Yet, Stonecollar possesses that inherent 'heaviness' in their music, against melody, that modern youngsters demand. Bang your head, of course, but you can snap your fingers as well. This is not the suspicious equivalency to Nickelback, Hinder, Disturbed or Staind, but there's enough current nuances to keep the young, and old, intrigued. So, Trial By Fire is mostly modern heavy (melodic) rock, quite close to metal. Representative numbers are Trial By Fire, SQT, and Say Your Prayers. But, equally, the old school melodic influence remains: noticeable on the aforementioned, but deliberate on Turn a Blind Eye and Unnatural Selection. Stonecollar easily merges and bridges the best of the old and new school. A singular, and near perfect, example of the former is Loose Cannon; of the latter, As the Crow Flies. Initially, I was suspicious of the production: it seemed soft or muted at times. After a listen or three, the mix is sound, quite crisp and clear. Additionally, there are some signature performances here: great guitar solos abound and Leshem Petersen's expressive, emotional, and clean vocals are quite impressive. Should we expect international acclaim for Stonecollar? Possibly. Trial By Fire, with the right promotion, could find an audience in the States, and Europe as well. 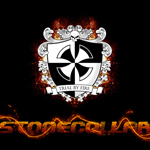 Strong talent and good songs propel Stonecollar's Trial By Fire. Easily recommended! Strong talent and good songs propel Stonecollar's Trial By Fire. Easily recommended!